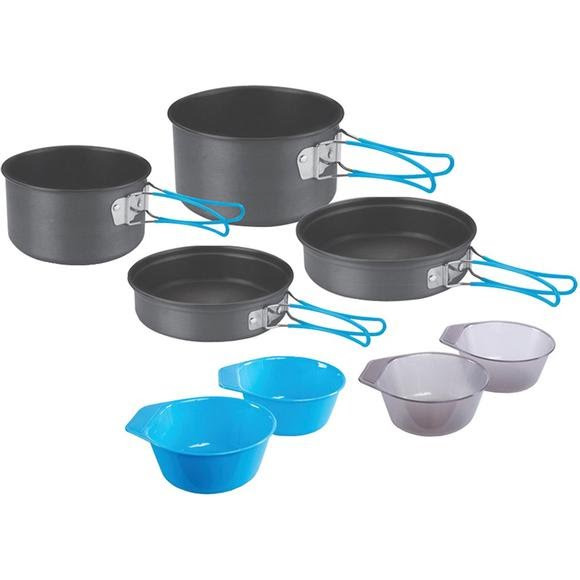 Durable service for 4, featuring hard anodized aluminum construction, precision nesting design with convenient folding handles from Stansport. Keep it light and simple! Durable service for 4, featuring hard anodized aluminum construction, precision nesting design with convenient folding handles from Stansport . Keep it light and simple! Dimensions (packed) 7" x 7" x 5.5"